When you look back over your life so far, has it gone exactly as planned? If so, whose plan was it? It's possible your life was mapped out for you by your primary carer, parents or significant person before or soon after you were born until early adulthood. It often includes a pre-determined kindy, primary and secondary school and certain extra-curricular events and it's likely that little of it was your choice. While some may have thrived from this approach, there are plenty who probably struggled or had unhappy experiences during that period. My point is that our journey from leaving full-time parental care to leaving school, whenever that is, creates the platform for the life we lead but not necessarily the life of our choosing. The decision to follow the map may continue when we leave school, get a job, start a trade or choose a career. Our choice to learn or study or take a certain path is often influenced by others, who may be keen for us to follow in their footsteps or heed their advice and recommendations based on what they believe is best for us. As a result, we may end up having been in our job for a while, completed our apprenticeship or finished our studies and wondering if we made the right decision. If we stop and think for a moment, we may realise we have had little say or choice in the matter or felt that we had to continue with the map given to us to avoid potential conflict or upset. What if we were to decide to put away the map we've been given and instead use our inner compass as a guide? 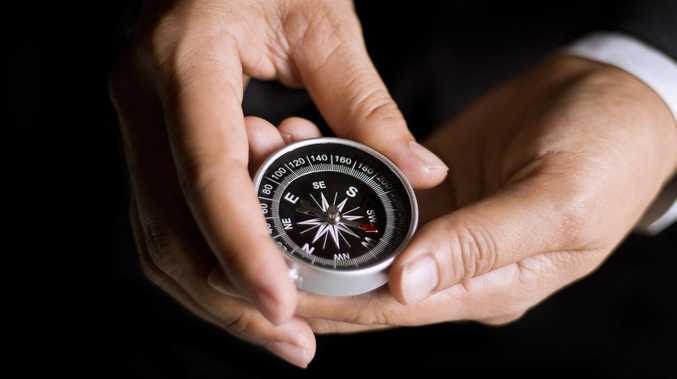 The purpose of a compass is to help us find our own way to where we want to be so, if we come to a stage when we wonder what we're doing with our life and how we got there, it's an opportunity to connect with that clear inner compass that aids in pointing us to our true north, our inner truth and values. We all have childhood dreams of being something or following a certain path when we grow up - a doctor, teacher, policewoman or adventurer perhaps, but our dreams are often put aside or buried deep as we follow the map into someone else's territory. While there, we may lose the joy of education and miss out on the serendipitous opportunities of experiential learning about the world in general and ourselves in particular. It's never too late to reconnect to your inner compass, cast aside the map you've been following and create one of your own. Who knows where you may end up?